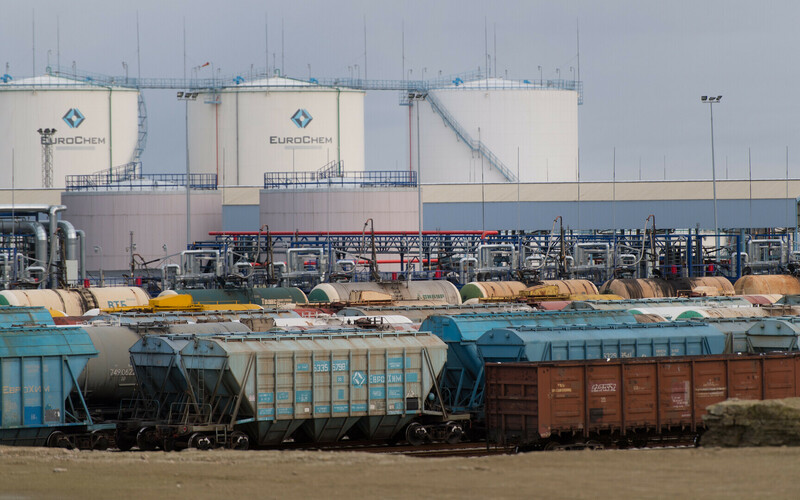 Russian fertilizer manufacturer EuroChemGroup AG is to build an ammonia terminal in the Northeastern Estonian city of Sillamäe by the end of the year for €65 million. "This December, we will build an ammonia terminal for one million tons at Sillamäe at a cost of €65 million," EuroChem CEO Dmitry Strezhnev told reporters on the sidelines of the Sberbank CIB Metals, Mining and Fertilizer conference in Moscow. The terminal is being built for ammonia to supply a plant in Kingisepp that the company plans to launch in the fourth quarter of this year, he added. Sillamäe City Government on March 1 granted EuroChem a building permit for the terminal, which was contested by VKG Ehitusvõrgud OÜ. The latter stated that they believed the object to have been designed illegally. Tartu Administrative Court on April 9 rejected the application for preliminary legal protection. Last fall, EuroChem projected the cost of the project to total €15 million. The liquid chemicals terminal at Sillamäe is operated by EuroChem subsidiary EuroChem Terminal Sillamäe AS, which earned a profit of €2.5 million euros on €5.7 million in sales in the last financial year. The company employed on the average 26 people, translated into full-time jobs, with wage costs totaling €466,000. The core business of EuroChem Terminal Sillamäe AS is the handling of petrochemical raw materials. Its sole owner is EuroChem Group AG.